Etiquette and tips while at an airline lounge. Airline lounges are my favourite place to hang-out before flights. Well, for the obvious reason of course – a wide variety of newspapers and magazines, food, drinks, shower facilities and charging points. It is way quieter in a lounge compared to other areas of the airport and definitely better access to the airport and airline representatives. As a matter of fact, I was writing this from the United Airlines Club in San Francisco, observing my fellow travellers. All of them were really minding their own business except for one next to me, who is trying to peep at my screen. Well, little does he know that he is going to be in my article. Before I go ahead and talk about the etiquette and tips while at an airline lounge, here is a little trivia. The American Airlines Admirals Club was the first ever airline lounge to be opened. The year was 1939 and it was at New York City’s Laguardia Airport. It was said to be a promotional tool; fast forward eight decades later, airline lounges are here for added value to their loyal customers. Here are my top picks of what NOT to do at airline lounges. Don’t be greedy – the food is there to eat but you don’t have to devour everything just because. Be gracious; never take more than what you can finish. Silent your laptop – we don’t want to be listening to Ed Sheeran sing through your computer; even though we adore him. Use earphones. Lower your voice – the lounge is a shared place, where business travellers relax and your phone conversation is the last thing they want to hear. Speak in a low, respectful voice. Limit your alcohol – open bar but doesn’t mean drinking yourself silly. Not fun to be travelling alongside an intoxicated person. Don’t use all power outlets/space – charging your phone, laptop, shaver and leaving none to the rest; a definite no. Also, if the table is a shared type, do not spread your things all over it. As I am typing this, there is a gentleman, clearly in a rush to submit a report or proposal. He got his papers strewn all around a shared table, leaving his neighbour a tad uncomfortable. Be considerate. Clean up after yourself – no one wants to see that apple core browning-up in the middle of the table or crumbs scattered around. Wrap the core up and sweep down the crumbs in tissue paper; this gesture looks way better on you too. 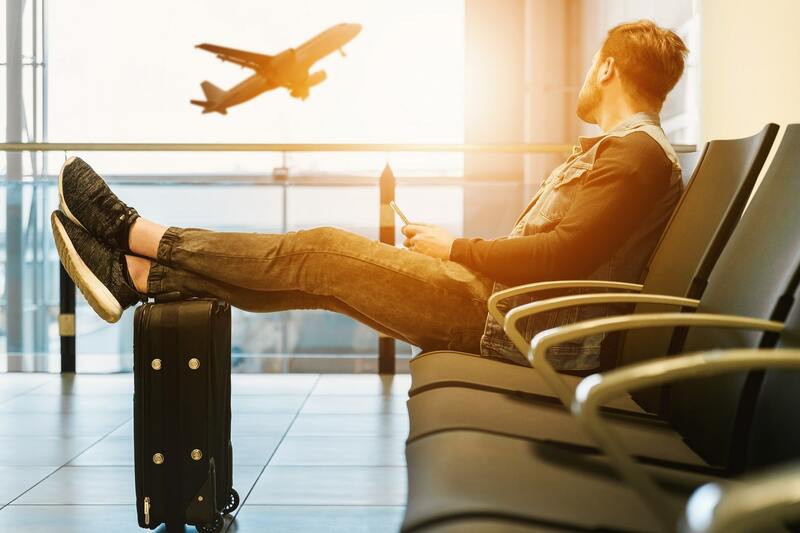 Place your bags appropriately – don’t block empty seats with your carry-ons, or worst still make someone stumble while trying to manoeuvre his way to that empty seat next to you. The best way is to place your carry-on against the wall or if there are no walls, place it on the space closest to you. Just do not impose your carry-ons onto others. And of course, try not to pry into what other travellers are doing on their laptop or mobile. It’s unnecessary and can be a tad annoying.